Malham is a small very attractive village in the Pennines at the southern part of the Yorkshire Dales. Malham beck flows through the centre and the village and is surrounded by limestone dry-stone walls and limestone pavements. In the early 1900’s Malham was an industrial village of mills and mines but now it is hill farming and tourism. Malham is a very popular destination for holiday makers, day trippers and walkers with the long distance path the Pennine way passing through the village and with the main tourist attractions being Malham Cove, Malham Tarn, Janet’s Foss and Gordale Scar. The village also has a National Park Information Centre. The yearly agricultural and horticultural show known as the Malham Show is held on the Saturday before the August Bank Holiday and holds many competitions from Lego models to fell running. Another major annual event is the Malham Safari, where all the villagers build sculptures around the village and put up stalls on the green. Malham houses two pubs The Buck Inn and The Lister Arms both with accommodation, a small shop, a post office, the Beck Hall B&B and tea room and a youth hostel. There are many wonderful walks to undertake around Malham. Mountain biking and horse riding are also popular. Out of the bird breeding season some rock climbing is carried out on Great Close Scar. Malham Tarn is a glacial lake 377 metres or 1,237 ft above sea level making it the highest lake in England and is a nature reserve within the National Trust Estate. The stream from Malham Tarn disappears underground through sink holes in the limestone and reappears at Airehead Springs. This pretty lake is home six species of fish, wildlife, wildfowl, waders and many species of flora and fauna. Fly fishing for Trout only is available from boats only on a daily basis. From the Mesolithic to the Bronze Age this area was an important seasonal hunting ground and much later from Medieval Times onwards the tarn was stocked and used as a fishery by the monks of Fountains Abbey. The Monk’s Road which follows the edge of the hillside to Arncliffe once formed part of an important long distance route to and from Fountains Abbey, near Ripon. Malham Tarn Estate, owned by the National Trust, consists of some of the most dramatic upland limestone landscape in the country, with Malham Tarn forming a natural focal point. The majority of the 7,200 acre Estate is let on agricultural tenancies and grazing licences and there are 161 acres of woodland mainly around the Tarn. Malham Tarn Nature Reserve is also designated as part of a Site of Special Scientific Interest, a Special Area of Conservation and it is a wetland of international importance designated under the Ramsar Convention. Part of the nature reserve is an Open Access area and there is a boardwalk around the fen. Tarn House built by Thomas Lister around 1780 was used as a shooting lodge. In later years Tarn House was acquired by Mrs Hutton-Croft who gave it to the National Trust in 1946. The house was then let to the Field Studies Council for use as a Field Studies Centre which still holds its position as a Field Centre to the present day. The woodland around the house was planted in the late 18th and early 19th century and added to in Victorian times. 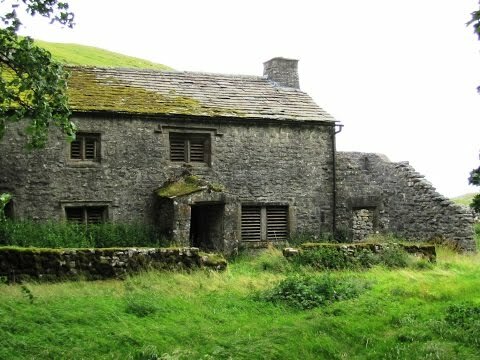 Middle House is a typical late 16th century dales farmhouse built on a much older building which housed shepherds for the Fountains Abbey estate. This derelict farm house with its irregular walls indicates that it was also the site of an earlier Norse settlement in the early Middle Ages. Darnbrook Farm, covering 2,824 acres, was acquired by the National Trust in 1995. The farm has extensive moorland, limestone pavement and limestone grassland. The Pennine Way often referred to as the back bone of England is a 268 mile long distance footpath. The Old Naggs Head in Edale in the Derbyshire Peak District, once the village blacksmiths dating back to 1577, is the official start of the Pennine Way. The National Trail heads north along the Pennine Hills passing through the Yorkshire Dales and the Northumberland National Park ending at Kirk Yetholm just inside the Scottish Border. The Pennine Way, very popular with walkers for many years, has 535 access points where it intersects with other public rights of way and crosses many roads and passes through many villages and towns with good public transport making it easier to be able to do long or short walks. The Pennine Way is not accessible to cyclists or horse riders but the more or less parallel Pennine Bridleway is open to all except motorised vehicles. We turn right out of the car park, head down the road for a short way and take the left turn through the gate at the Malham Tarn Nature Reserve sign. We follow the track and turn right at the end. We continue forward following the Pennine Way passing the National Trust building and the bird hide on our right. When we reach Tarn House Field Centre we bear left and keep following the track through the buildings then head forwards through the woods. At the cattle grid and gate we leave the Pennine Way turning left uphill following the sign towards Middle House on the old Monks Road. At the top we turn right and follow the path and the fence line on our left. We cross over a stile and bear diagonally left over the side of the hill to the left of Middle House Farm. At the top we go through the gate and after a short rise we follow the track on the right to Middle House. We head forwards and bear left at the signpost for Darnbrook. We follow the path with the hill on our right to the dip in the hill in front. At the other side of the hill we bear left and go over the wall stile. We then follow the gully steeply downhill to a stream but there is a path that bears right over a wall which also takes you down to a stream. At the stream we cross over the two bridges and bear slightly left to the stone barn. We continue over the fields to Darnbrook House and at the road we turn left. We follow the road for a short way and turn right onto a track at a wall. We now head uphill following the track. We pass through a gate and keeping to the left of a small wood we continue uphill on the track to an old shooting lodge. At the lodge we turn left following the wall on our right to go through a gate. We turn immediate left downhill to a wall corner then turn right and keep following the wall on our left. At the next wall we cross over the stile and continue forward to meet the Pennine Way where we turn left over the stile downhill to the right of the farm, Tennant Gill. At the road we turn right and follow the road taking us back to the disused quarry car park. This is a moderate walk on tarmac, gravel, grass tracks and paths. There are a few hilly fields, open pasture land, a stretch of road and some gates and stiles. Elevation: Approx lowest point 309.1m (1014.4ft) approx highest point 473.1m (1552.2ft) approx total ascent 349.3m (1146ft). Approx 7.3 miles allow 3½ hours using OS Explorer Map OL2, Yorkshire Dales Southern and Western areas. Start point: Disused quarry car park at the north western end of Malham Tarn. Malham Tarn Estate just north of Malham Tarn between Skipton and Settle in the Yorkshire Dales. From Skipton take the A65 towards Settle. Pass through Gargrave then after going over the River Aire turn right at Coniston Cold. Follow the road through Airton and Kirkby Malham to Malham. At Malham keep bearing left onto Cove Road. Keep following the road and at the cross roads cross straight over then at the junction bear right. The car parking is on the left. Parking: The disused quarry car park at the north western end of Malham Tarn. There is unisex public toilet at the Malham Tarn House Field Centre. The next nearest public toilets are at Malham in the National Park Visitors Centre car park. For refreshments there are two pubs, a cafe, tea rooms, a small shop and a post office in Malham.